By 1514, Nicolaus Copernicus had written an initial outline of his heliocentric theory. Over the next two decades, Copernicus expanded his theory, while compiling a manuscript that fearing ridicule, he refused to publish. In 1539, a young German mathematician, Georg Joachim Rheticus, traveled to Poland to seek out Copernicus. Two years later, the Protestant youth took leave of his aging Catholic mentor and arranged to have Copernicus’ manuscript published, in 1543, as De revolutionibus orbium coelestium (On the Revolutions of the Celestial Spheres). 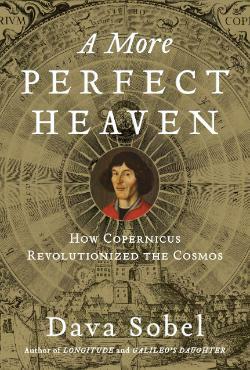 Dava Sobel chronicles the conflicting personalities and extraordinary discoveries that shaped the Copernican Revolution, presenting an unforgettable portrait of scientific achievement, and of the ever-present tensions between science and faith. Dava Sobel is the author of Longitude (1995), Galileo’s Daughter (1999), The Planets (2005), and A More Perfect Heaven (2011). 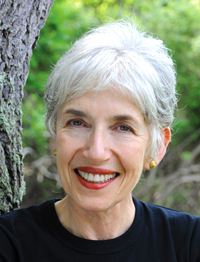 She is currently the Joan Leiman Jacobson Writer-in-Residence at Smith College. Ms. Sobel is the recipient of many awards: the Individual Public Service Award from the National Science Board, the Boston Museum of Science Bradford Washburn Award, the Harold D. Vursell Memorial Award from the American Academy of Arts and Letters, the Los Angeles Times Book Prize for science and technology, and the Christopher Award. Galileo’s Daughter, which was the #1 New York Times nonfiction bestseller for five weeks, was a finalist for the 2000 Pulitzer Prize in biography. “NOVA” (PBS) produced a documentary based on Longitude; Granada Films created a dramatic version, starring Jeremy Irons and Michael Gambon. A “NOVA” documentary based on Galileo’s Daughter won an Emmy in historical programming. Ms. Sobel has appeared on NPR programs “All Things Considered,” “Fresh Air,” and “The Diane Rheem Show,” as well as C-SPAN’s “Booknotes” and TODAY on NBC.